Radio Dublino is a bilingual (Italian/English) programme, produced by a team of Italian people living in Ireland, and that includes Maurizio Pittau, Lorena Lampedecchia, Valentina Settomini, Marya Arenella, Sebastiano Toscano, Piero Caffarelli. The programme started broadcasting on Wednesday 16th October 2013. Would you define the content and aim of your programme? 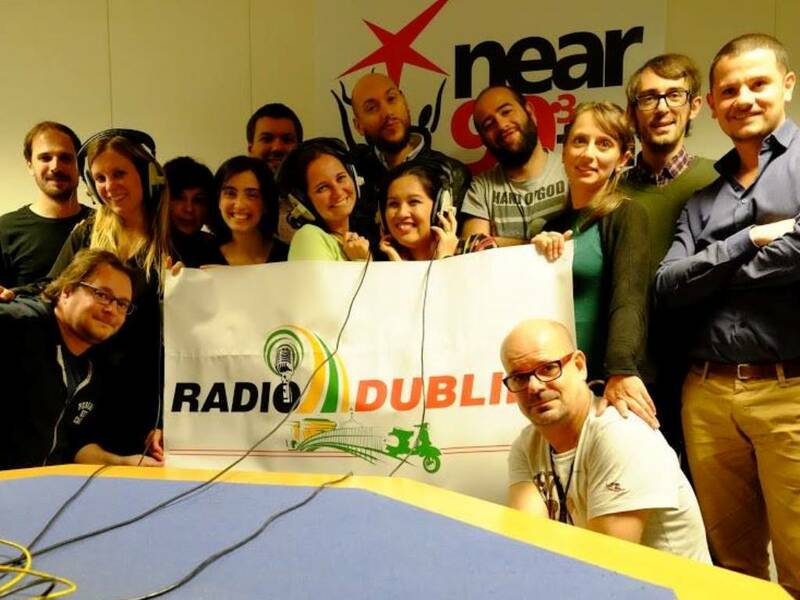 Radio Dublino is a weekly Italian radio magazine broadcasted every Wednesday from 09.30 to 10.30 pm on Near FM, a not for profit cooperative run by volunteers who manage their programmes autonomously and independently. Radio Dublino was started in October 2013 by Maurizio Pittau and it was conceived as a place where the audience can feel at home and share views and opinions on Italy and Ireland from the expat point of view. The programme addresses the Italian community in Dublin, Irish speakers of Italian and all residents in Dublin interested in Italian culture, Italian music and Italian language. Radio Dublino covers a variety of topics: Italian language teaching, news from Italy and Ireland, Italian music (rock, traditional, opera, jazz, folk, etc. ), information about intercultural events in Dublin and interviews with Italians living in Dublin or Irish speakers of Italian. Encourage the integration of the Italian community in Dublin/ Ireland and the intercultural dialogue between Italians and Irish people. Stimulate Irish speakers of Italian to keep up to date with the Italian language and the civilization. Encourage the active involvement and participation providing a platform where the presenters and the audience can express their ideas, share projects or promote events. How do you choose the music for the programme? Main focus on Italian and Irish music. How can listener’s get involved? By contacting us at Social events, through social media or being invited as guests or guest co-presenter,. What other programmes on Near FM do you like to listen to? Non commercial music (jazz, ska, trad, etc.) and debates. To raise awareness about new trends in Irish music resulting from the encounter of musicians from Irish and Italian backgrounds. To provide an opportunity for local mixed bands to perform live and increase their visibility. To offer a platform for new music contaminations and developments in multicultural Dublin.